Marion D. Malone, 90, Rossville, Georgia, went to be with His Lord on Thursday, December 13, 2018, surrounded by his family. A lifelong resident of Rossville, Marion retired from Combustion/ABB after 38 years of service. He was a longtime member and deacon at Temple Baptist Church and currently a member of Delray Baptist Church. 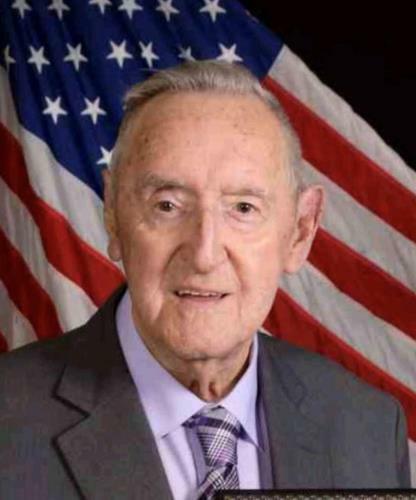 He was a member of Rossville Masonic Lodge F & AM 397 and a veteran of the U.S. Navy serving during the Korean War where he was recipient of the Korean Service Medal and the United Nations Service Medal. He was preceded in death by his parents, Tom and Nannie Malone; brother, Donald Malone; sister, Joyce Bryant. Survivors are his wife, Carolyn King Malone; daughter, Lori (Mark) Posey; grandchildren, Zachary and Jessica Posey all of Adairsville, Ga.; sister, Glenda Acuff, Rossville; several nieces and nephews. Funeral services will be held on Monday, Dec. 17, at noon in the funeral home chapel with Curtis Ottinger and Tim Ottinger officiating. Burial will follow at Lakewood Memory Gardens, South with military honors with Herb Pettit, Jesse Crowder, Terry Bradshaw, Bobby Bradshow, Allen Rittenhouse and Greg Davis serving as pallbearers. Visit www.heritagechattanooga.com to share condolences to the family and view Marion’s memorial tribute. The family will receive friends on Sunday, Dec. 16, from 2-8 p.m. at Heritage Funeral Home, 7454 E. Brainerd Road.